Charlie Rose on CBS’ s “60 Minutes” broadcast. 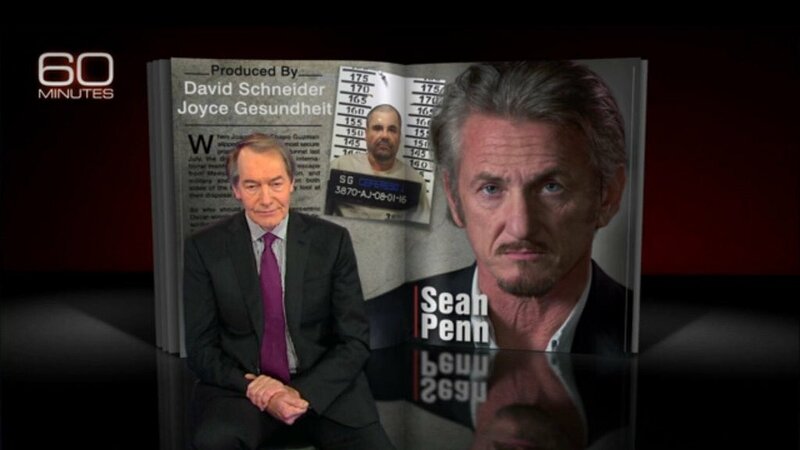 Sean Penn told “60 Minutes”, the CBS television news magazine, that he was practicing “experiential journalism” when attempting to interview Mexican drug lord Joaquin “El Chapo” Guzman. Penn admitted he failed. His article, based on an encounter with Guzman in a Mexican jungle and published in Rolling Stone magazine, was intended to spark a public discussion about U.S. policy on the war on drugs. How could he succeed? When Penn actually had a chance to confront Guzman face to face, instead he asked Guzman if he has visited his mother and whether he knows Columbian drug lord Pablo Escobar. These are not penetrating questions that could trigger public discourse. What he did was not experiential journalism. He knows the phrase but he doesn’t know what it means. A Nieman Journalism Lab report names experiential journalism as one of “The Five Es of Journalism in 2016.” Neiman Lab is a Harvard University project aimed at discovering where the news is headed in the Internet age. News as an experience, said the report, “plays to the strengths of digital and emerging technologies” such as virtual reality. Penn did not come close to this kind of experiential journalism. He produced old-fashioned personal journalism, a description of what he saw and heard. He admits as much to “60 Minutes” correspondent Charlie Rose. In the broadcast, Penn stammers his way through his description of experiential journalism. “I don’t have to be the one that reports on the alleged murders (by Guzman) or the amount of narcotics that are brought in. I go and I spend time in the company of another human being, which everyone is. So he admits the 10,000-word Rolling Stone article is nothing more than his personal observations. Rose: You wanted to have a conversation about the policy of a war on drugs. Rose: But — but you’re really saying, I — what I really regret is not anything that I did. I regret that people misunderstood what I did. Penn: That’s what I’m saying, yeah. That would make it a flawed act of journalism, a failure to communicate. Guzman was captured by Mexican marines the day after the Rolling Stone article appeared online. Mexico’s attorney general said Guzman’s capture was aided by tracking Penn and others involved in his jungle encounter with Guzman. Penn said he believed the Mexican government released that information to blame him and put him at risk. But Penn said he is not fearful for his life. “El Chapo” means “shorty” in Spanish — not a very fearsome nickname for a man described as responsible for thousands of deaths in the drug wars. But then, maybe something is lost in the translation. He is a scary man, worthy of some experiential journalism.